Raise your very own Tamagotchi characters and share your adventures with your friends! 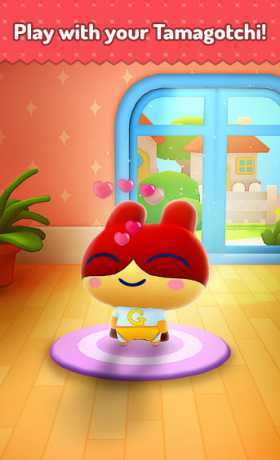 Your Tamagotchi character needs your daily care to stay healthy and happy. Keep it well fed, washed, and entertained ⚽?, then meet other Tamagotchi friends in town for more fun. But don’t forget to put your character to bed! ? 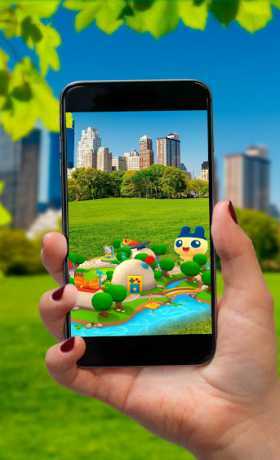 Explore Tamatown in full AR (Augmented Reality) ?, find your hidden friends and collect treasure and bonuses in the first ever AR-enabled Tamagotchi game!
? 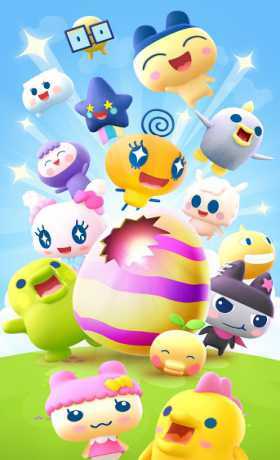 Take good care of your Tamagotchi characters and watch them grow! Play mini games, make friends, explore Tamatown and customize outfits and the town itself for memorable moments you’ll want to share with your friends. Depending on the care you provide and the things you do, they will evolve into different Tamagotchi characters as they grow. And when your they are all grown up, help them choose the best career path, be it scientist, rockstar or detective! ?
? PLEASE NOTE: My Tamagotchi Forever is free to download and play, however some game items are available for purchase. If you don’t want to use this feature, please disable in-app purchases in your device settings. The AR feature is only available on selected devices supported by ARKit.